As part of our commitment to improving the in app Assembla user experience, we’re constantly listening to feedback from our users. In addition to listening to user feedback, I use Fullstory to see how users interact with the Assembla app. Our core philosophy is to ensure our users can easily and quickly get more stuff done by making our features more accessible and easy to to use. Easily switch between accounts and projects from the dashboard. Many Assembla users are part of various teams spanning across different projects in their accounts and might also be contributors in other accounts. 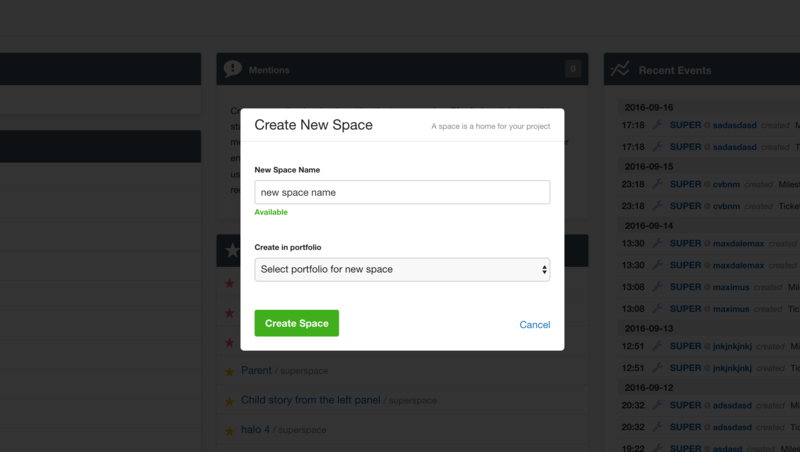 We wanted to make it easier for users to switch back and forth between accounts and projects. Assembla accounts that have their own unique subdomain URL make it easy for users to hop back and forth between domains. 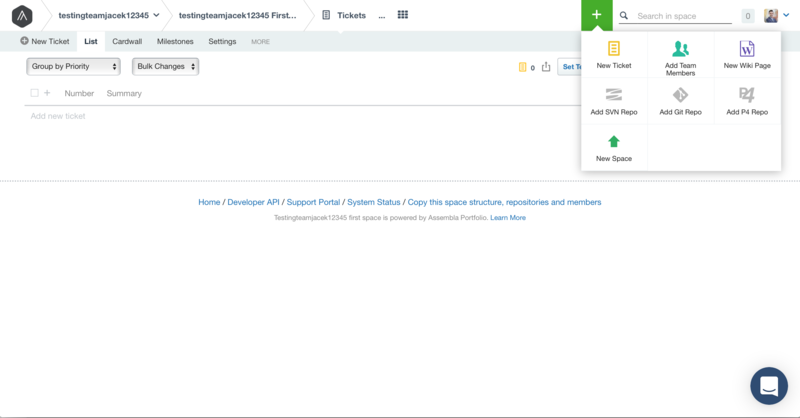 When logging into the Assembla app, you land directly into your dashboard - this is Home. From your dashboard, you can see all your work across all accounts and projects and can create projects against accounts directly from this view. If you’re a Slack user and are part of multiple teams on unique accounts, you’re familiar with the view that gives you the option to switch between accounts - this is the same concept Assembla has set up for users landing in the Home view. The benefit of landing on this view is seeing all of your data aggregated into one pane of glass without having to go into a specific area first. If you look at click on your Profile dropdown you will see a My Home button that takes you to this dashboard from anywhere in the app. I use the Home view often in-favor of managing bookmarks for each account and project. This new release is only the first iteration of an updated Home view designed to give users faster access to getting stuff done. Once you access an account via its URL or from Home you will see an Account dashboard specific to that account. An account can have unlimited projects, teams and repositories. 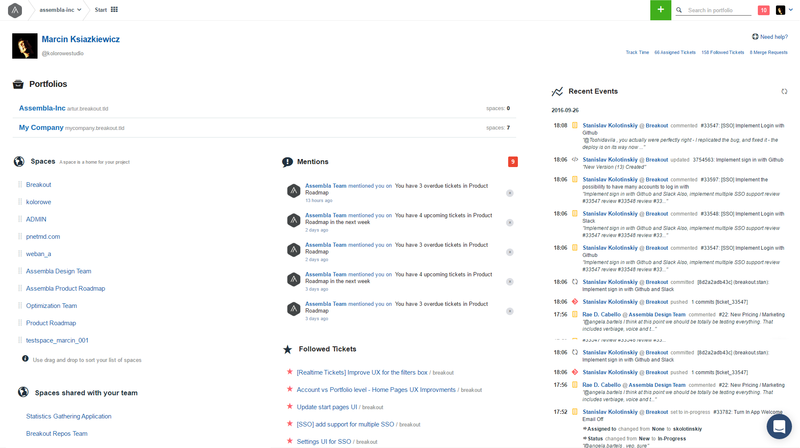 All the relevant work for only that account is presented in the Account dashboard and you can create new spaces, jump into projects or scan recent events from this view. Most day to day work happens at the Space level which is a project’s home where you manage your tools for that specific project like members, repositories and tasks. This view provides the most robust set of actions from adding new tools to creating new repositories for your project. So how do you jump from one level to another? Simple. Anytime you click on the Assembla logo in the top left you will be taken one level up from Projects to Account to your Home. 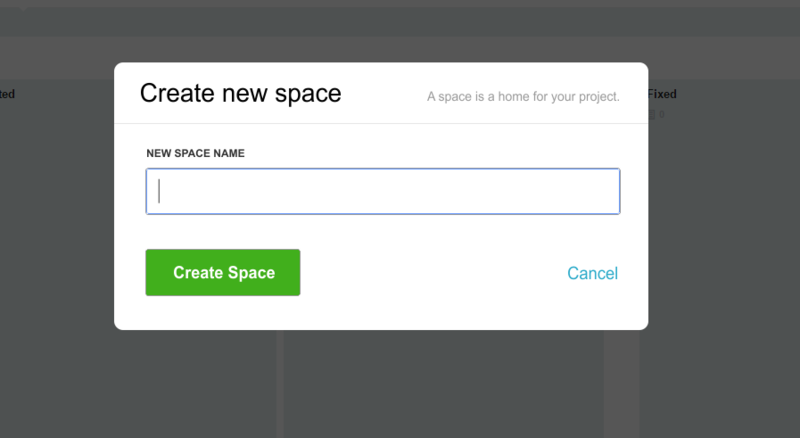 Customize and bookmark your project view. By using Fullstory, I have seen Assembla users using Assembla with 15 different tabs open showing a different list or cardwall with various filters. After seeing this, we knew this was a nuisance that we wanted to resolve quickly for users. With today’s feature release, users will no longer be dropped into the same list of cardwall view every time you open a new tab or browser. Each is now separate so you can manage and work on different views very quickly. For those heavy cardwall and list users, we’ve simplified the workflow to allow you to be able to bookmark your view. We have also changed the way filters work for your user session. The filter itself is now streamlined to make it clearer on how to use it including quick search for those of you that have hundreds of filters.